Wanna know how bad black folk had it on Raw this week? 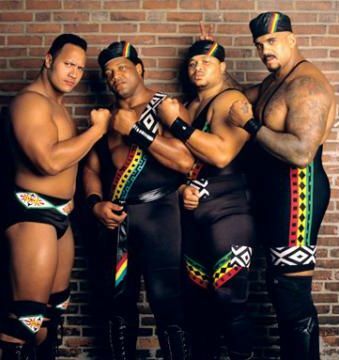 Hurricane Harvey forced Booker T to be replaced by Jerry Lawler on commentary, and one forgettable battle royale featured three forgettable black superstars. Of course two white guys throwing Apollo Crews out of the ring is what they go with for the thumbnail. We've not gotten enough Crews on Raw as of late, so of course he shares ring space with Jason Jordan and R-Truth to become afterthoughts in a battle royale to determine the #1 contender for the IC championship. Jordan got put over on commentary, but c'mon. All so they could set up Nia Jax versus Alexa Bliss. No surprises, but damn, Sasha always gets shafted with these title wins. Catch a full rundown over on Wrestleview.